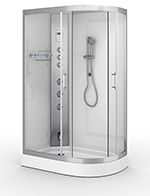 AquaLusso Alto W3 large, regular sized steam shower bath with integrated whirlpool system. Enjoy all the benefits of a shower and steam shower room combined with whirlpool bath. The W3 is a prefect solution for the busy modern bathroom or for those looking for a home spa. The Alto W3 has something to appeal to every member of your household. 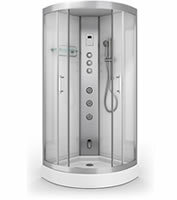 AquaLusso Alto W2 steam shower bath with integrated whirlpool system. Enjoy all the benefits of a shower and steam shower room combined with whirlpool bath. 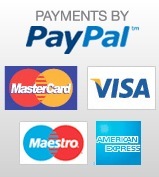 The W2 is a ideal solution for the busy modern bathroom or for those looking for a home spa. 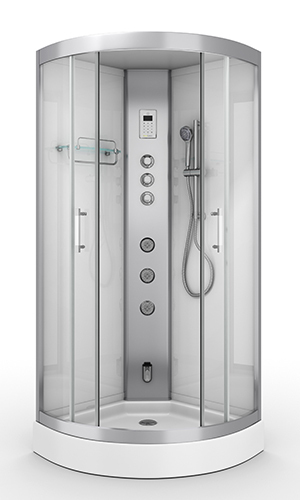 AquaLusso Alto 12L (left handed), offset Steam Shower Cabin. 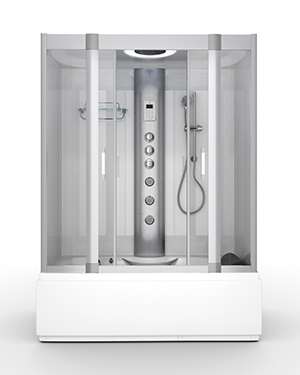 This is an elongated, low step shower with thermostatic shower valve, stainless steel monsoon shower, body jets, multi function hand shower, Bluetooth enabled control panel, 3kW fast start steam generator. 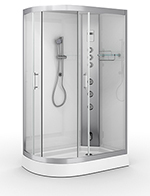 AquaLusso Alto 12R (right handed), offset Steam Shower Cabin. 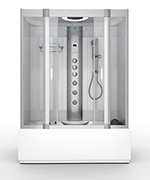 This is an elongated, low step shower with thermostatic shower valve, stainless steel monsoon shower, body jets, multi function hand shower, Bluetooth enabled control panel, 3kW fast start steam generator. AquaLusso Alto 90 Steam Shower Cabin. 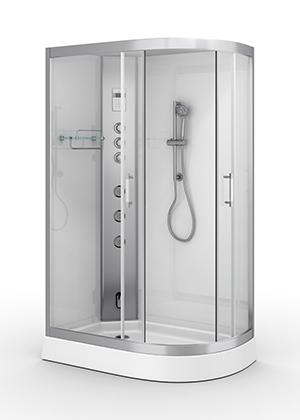 Compact quadrant with thermostatic shower valve, stainless steel monsoon shower, body jets, multi function hand shower, Bluetooth enabled control panel, 3kW fast start steam generator. 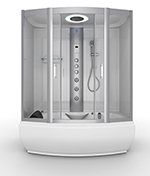 AquaLusso Alto 80 Steam Shower Cabin. 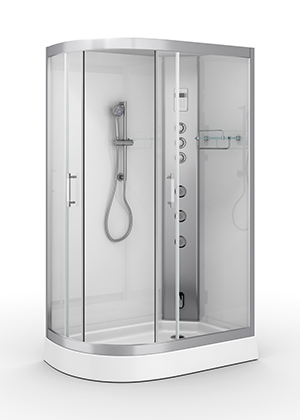 Compact quadrant with thermostatic shower valve, stainless steel monsoon shower, body jets, multi function hand shower, Bluetooth enabled control panel, 3kW fast start steam generator.